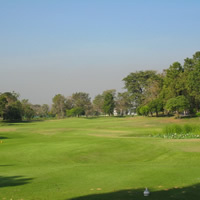 Cheap, not far from Bangkok Golf Club, (close to airport) some great holes and if you smile at the staff you'll get one back. Nice experience and good value for money. Don't go for the five star facilities because they don't have any. The lockers are a little in need of repair and upgrading, as is the entire clubhouse, but if you come for golf, you won't be disappointed. No website for Chuan Chuen Golf Club. Golfthink members may Email Us for detailed directions to Chuan Chuen Golf Club.